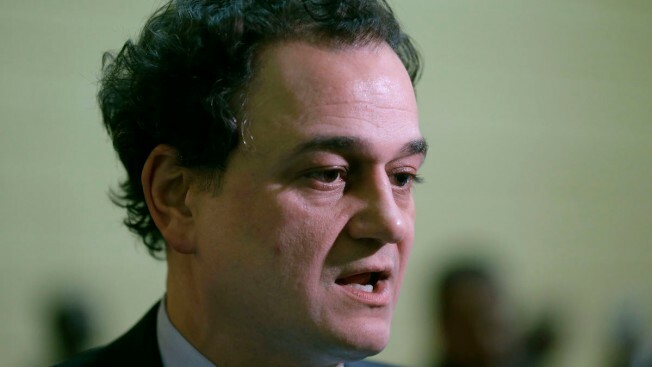 A Providence, Rhode Island, restaurant owner has been indicted on a single count of bribing a public official for allegedly paying off former Rhode Island House Speaker Gordon Fox to get a liquor license. Attorney General Peter Kilmartin and State Police Col. Steven O'Donnell on Friday announced the indictment returned by a grand jury in Providence. Raymond Hugh is accused of bribing Fox when he sat on the Providence board of licenses to ensure Hugh's restaurant, the Shark Bar, could get a liquor license. Fox admitted he took more than $50,000 to help push the license through. He is serving a three-year prison term for bribery and for taking more than $100,000 from his campaign account. Hugh did not immediately return messages seeking comment. He previously said he didn't know anything about a bribe.